The finite difference (FD) formula plays an important role in the meshless methods for the numerical solution of partial differential equations. It can be created by polynomial interpolation, however, this idea has not been widely used due to the complexity of multivariate polynomial interpolation. Instead, radial basis functions interpolation is widely used to generate the FD formula. 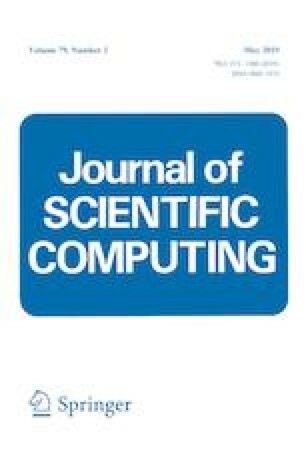 In this paper, we first propose a simple and practicable node distribution, which makes it convenient for one to choose the interpolation node set that guarantee the unique solvability of multivariate polynomial interpolation. The greatest advantage of the interpolation node set is that we can only face triangular matrix in order to obtain the Lagrange basis polynomials by the constructed basis polynomials. We then use Taylor’s formula to establish error estimates of the FD formula based on polynomial interpolation. We finally give some numerical experiments for the numerical solutions of the Poisson equation and the heat equation.